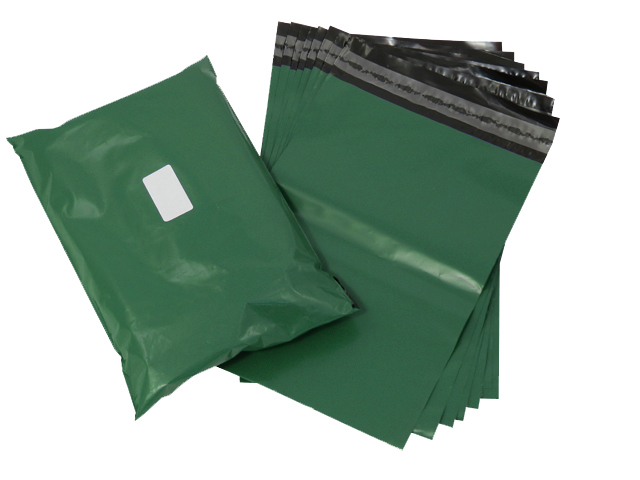 The olive green coloured range of polythene mailing bags are high end co-extruded UK manufactured mailing bags, made from 100% virgin polymer and are 60mu in thickness. They are also 100% opaque, unlike cheaper versions of coloured bags available, meaning that goods are not visible once placed in the bags. This is one of the premium coloured ranges of mailing bags that we stock, and is highly popular with users within the fashion, cosmetics and clothing industries, as well as on-line sellers. A fantastic solution if you are looking for that extra presentational feel and touch to your packaging solution. Note that if you are looking for more cost effective bags, try our 'grey' mailing bags range - these are made from a composite of recycled material and virgin polymer, hence are cheaper than the coloured ranges. The coloured ranges are excellent for presentational feel and quality, and are produced to the highest specifications. Mailing bags are an extremely popular for postal and courier distribution. Also known as courier bags or mailing sacks, these are widely used by posthouses, marketing centres, online distributors, ebay and amazon sellers etc.